Ngare Ndare before and after. 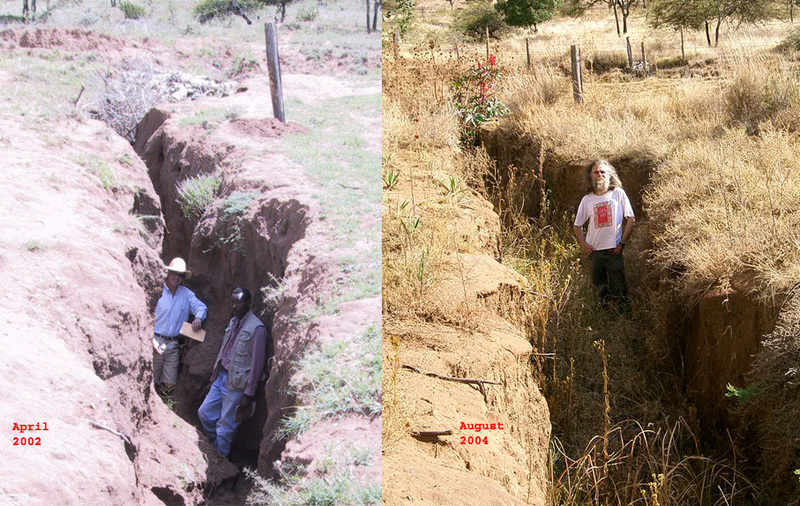 At Ngare Ndare we were faced with massive erosion problems. 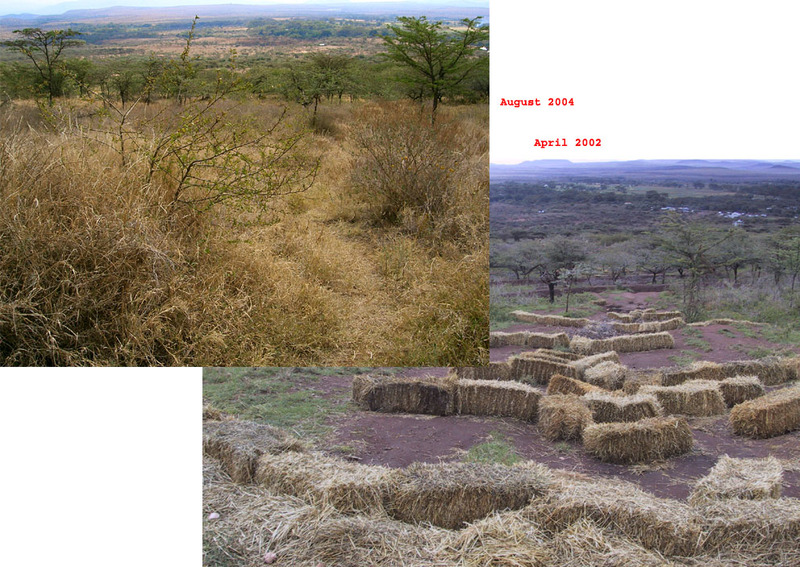 We took a degrading landscape, turned it around, and now it is actually restoring itself. That restoration process will go on, with or with-out human involvement. In the photographs below Patrick (on the right in the left photo) is the same height as me and I have tried to stand in the same place as him as a measure of soil build up. This has been mostly through the use of physical barriers although there are now the native date palm (Phoenix reclinata) planted. These suckering palms should eventually occupy and stabilise the whole gully. 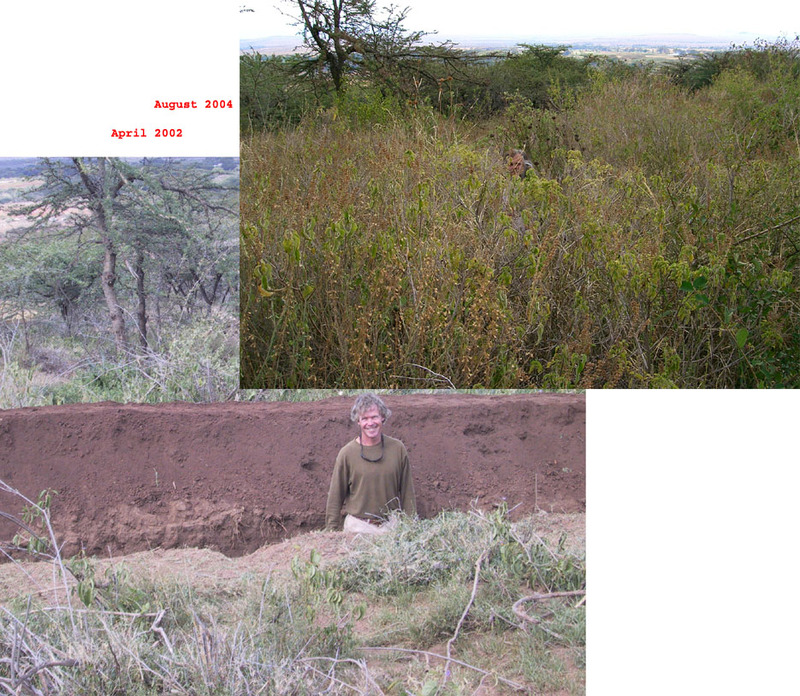 We built a total of about 5,000 metres of swale. 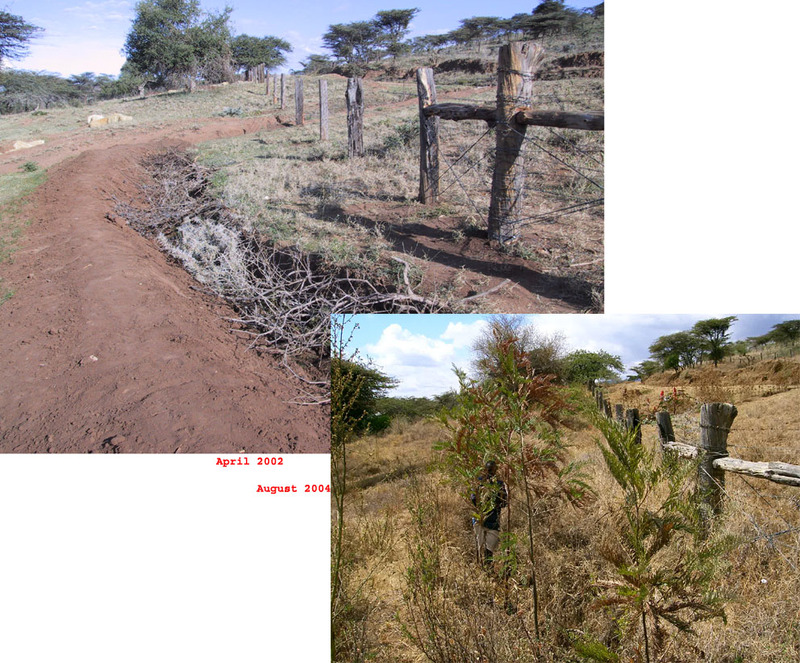 At an average of 1 metre wide and 1metre deep, we figured that when the swales filled we had held 5 million litres of water from running into the river (Ngare Ndare means muddy water) and taking the valuable soil and associated nutrients with it. Also the swales had captured the seed from the grasses and other plants. In the photo it is hard to make out the swale but they are still obvious when you walk the landscape. This is the uphill part of the old track which was destined to become a massive erosion gully (like the one at the top of the page). We used straw bale in this area because swales would not hold all of the water coming through. Instead the straw bales slowed the movement, stilling the solids behind the bales, but still allowing surplus water through. In the earlier photo below I took a photo of my friend and colleague Michael Nickles, standing in a swale. In 2004 I stood in the same position. You can just make me out. I am actually taller that Michael. Another view. Looking along the top boundary fence. Patrick is standing in the second photo to show how tall the Grevillea robusta have grown in two years without supplementary watering. A local community nursery where I left a lot of seed and ideas. 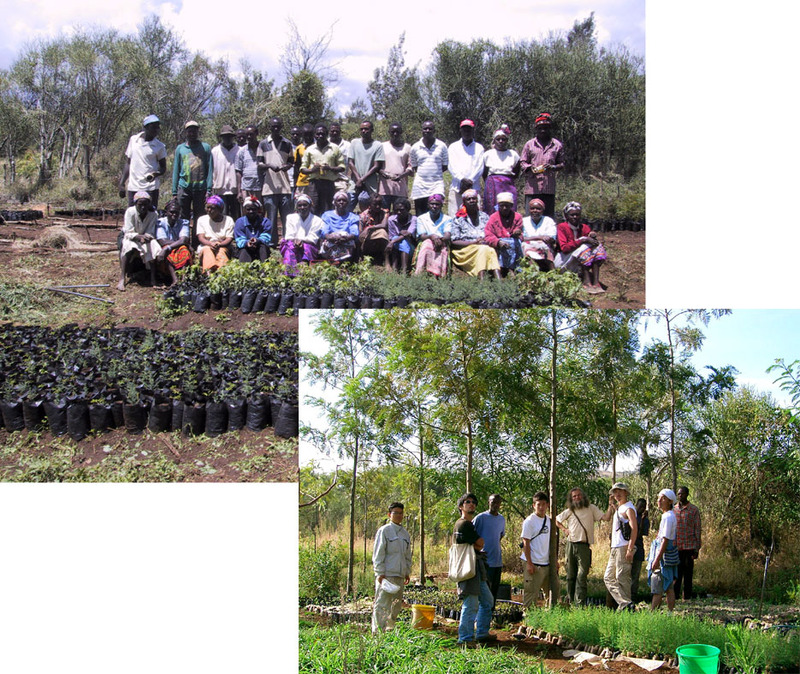 Things had changed considerably when I took my students there to get trees for our project.